We would like to inform you that there could be some tension rising in the following days together with the influence of a sudden and difficult emotional wave, as between 10 and 15 April, the Sun will be in conjunction with a stellar force that has one of the hardest energies. According to the galactic archetypal remembrance, it is one of the galactic prisons – the Zeta star of the Cetus constellation – Baten Kaitos, the star that represents the belly of the sea monster. We described it as the “bottom of the underworld” where the communities of the fallen angels and dragons had been chained up. This world is like when we lose the contact with the outside world in the darkness of a prison, we lose reality, the points of reference, all the scenes of life that reflect us, and we can only experience the message of the dim light infiltrating through a tiny crack, which is more like only the memory of Light. We get locked into ourselves completely, in order to recognize our sins, to confront the mistakes we committed, and finally to do penance after the inner drama of this recognition. Each year, this is a time when we could be reminded of the shadows of that certain spiritual quality, the stellar forces and initiating pathway of which determine this period. 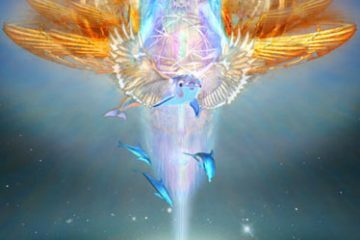 “If the star Baten Kaitos is projected into someone’s birth chart, s/he may be aware that this kind of lapse, falling and the difficult experience of the accounting after that had already occurred sometime in his or her galactic past. At the same time, this memory had burnt into his or her soul so deeply that s/he would like to keep up his or her awareness even in this present life, so that s/he would always walk the destiny-path that is designated for him or her and that s/he should not repeat those former mistakes or sins. In fact, it is possible that there are some periods in his or her life when s/he can feel like s/he gets locked into him or herself, as if a dragging vortex isolated him or her from the surroundings, thus s/he is forced to withdraw from all kinds of activity and contact, and life urges him or her to a very serious and necessary self-examination. As if s/he bumped into walls wherever s/he turned, and the only way out of this is revealed by the ultimately honest confrontation and analysis of his or her inner underworld and the hidden motivations. At these times, it can be great help if the person dares to ask the following questions from him or herself: “What have I committed? What is my original sin, which projects into the present now? What is my treason? What do I see and sense wrongly?” Somehow this recognition is needed that “whatever the reason may be, I am certainly making amends for it now. And my task is to recognize the mistakes I have committed, my false motivations and my selfishness, by which I might have hurt others”. And this prevails now, too, because if we manage to find these shadow points in our personal and collective history as humans living on this planet, and then take full responsibility for those acts, then soon the direction of the whole year will turn around and a beautiful, merciful energy will be poured out for us to help in redeeming our mistakes and failures and to heal together with Mother Earth. We wish you a lot of strength for these days, especially for the possible confrontations and recognitions in which it can be very helpful to work with our meditation CD titled “The Mystery of the Acceptance of Mercy”. 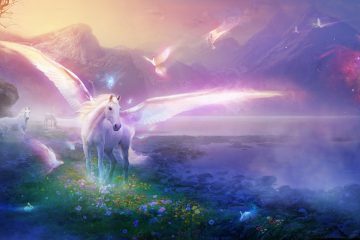 Image by Gene Raz von Edler, many thanks to the artist!